Alicia Morgans, MD, MPH, is a medical oncologist who specializes in prostate cancer management at Northwestern University Feinberg School of Medicine in Chicago, Illinois, where she is an associate professor in the Division of Hematology/Oncology. She is also an editor of the Advanced Prostate Cancer Center of Excellence for the UroToday web site. The following article by Dr. Morgans is reproduced here today with the kind permission of UroToday. To me, prostate cancer awareness is recognizing that every man deserves the right to forge his own path, even if data and years of medical training tell us what is “right”. As clinicians and loved ones, we must understand that it is our duty to guide, but not our right to dictate the way things should go. Although personal values, preferences, and beliefs may challenge our understanding and be flatly wrong if our goal is solely to extend life, we must recognize that the goals of our patients come first. Quality of life and maintaining a sense of self truly is the most important thing to many men, it this must be respected. When my grandfather passed away this fall at 91, he did so knowing that he had lived an amazing life, loved until his last breath, and had a family that would adore him forever. This is what I wish for any man whose life is taken by prostate cancer until we make death from this disease history. Thank you Dr. Morgans. Prostate Cancer International and The “New” Prostate Cancer InfoLink are in 100 percent agreement with you about this. Nice article. 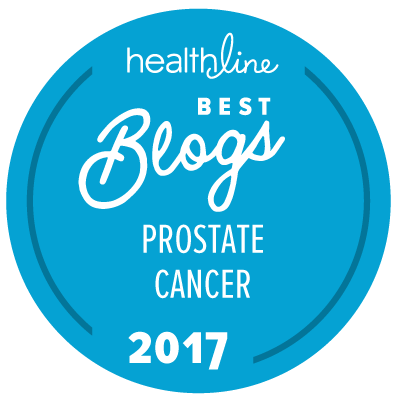 Covers many paths to prostate cancer care — castration, prostatectomy, radiation. I know Dr. Morgans focuses on advanced cancers. But 70,000 US men a year are diagnosed with early-stage prostate cancer. Half opt for radical surgery, radiation. Half opt for active surveillance. I’d be interested in Dr. Morgans view on AS. I am pretty sure that Dr. Morgans is a strong believer in AS … but she is also a strong believer in helping the patient do what the patient wants to do (as the article makes very clear). She vaguely does. Just a reminder. A thoughtful description of “shared decision making”, or making sure the patient really shares in the decisions. Great essay. Per studies, being a female doctors may be a disadvantage to both the doctor and her male patients. Medical testing and treatment is often stressful, degrading, demoralizing and embarrassing. According to the National Institutes of Health (NIH), per one study, 80% of men with ED never talk to their doctors or seek treatment because of these reasons. After his surgery one patient stated his prostate and his dignity was both removed and discarded. Per some studies, a significant percentage of men will feel uncomfortable or will completely avoid medical care if a female doctor, nurse, or staff member provided it. Some men would prefer illness, no treatment, and sometimes even death over embarrassment. Some men are more likely to seek or accept medical care for personal health issues if the staff (point of contact) is male (see this paper by Himmelstein and Sanchez). I personally know of several men that will not consult or see a female doctor. And that is on top of the fact it is often the men’s own inability to address their health problem honestly that is the fundamental issue. and then most of para 6. I surrender, Mike. I am skeptical of Northwestern University. Eight years ago a famed surgeon there advised me that I was making a mistake going on AS. In fact, he said I was crazy. But maybe things are changing. I read the doctor’s name in the piece and that triggered some bad memories from eight years ago. Let me be very clear. I do not speak for Dr. Morgans. She speaks for herself. And just because these are her opinions does not mean she speaks for everyone at Northwestern either. Your experience with the doctor in question 8 years ago represents the experience of many men over the years with that particular physician. I would gently submit that you shouldn’t be judging what Dr. Morgans’ opinions on the basis of the opinion of a different (and much older) physician expressed 8 years ago. Some of these comments read like the very antithesis or prostate cancer awareness. Remember when no one wanted to talk about breasts? And now there are millions of women (and men) who parade in support of breast cancer awareness. I remember when there were very few female gynecologists. Major sports teams even wear pink during breast cancer awareness month. I hope men can get over our pride, embarrassment, ego, shame, and sexism to drive prostate cancer awareness. I am a 5-year prostate cancer survivor (Gleason 8) and, frankly, it never occurred to me what was between my doctor’s legs as I sought treatment from the most qualified professionals I could find. Guys, we have a long way to go, and there are too many lives to be saved for us to lag this far behind the ladies. My radiation oncologist was female. We communicated well and personally I have found some females more detailed and compassionate than male doctors. Of course, it just depends on the character of the doctor male or female and why they are really in the profession. If you don’t agree with or like your doctor, it is best to get another one. It is your life. Switching gears, I saw this post on Cancer Network and US TOO. In my opinion, it takes way too long to get ones like this through trials while men with advanced disease wait. And, unless you are in certain areas it can be difficult to hear about or get into clinical trials. Kudos to Dr. Morgans. … In her very busy schedule, how does she find time to write such insightful articles?! Dr. M. is now one of our “go-to” genitourinary medical oncologists and receives rave reviews from each and every patient we refer to her. This piece evidences her deep understanding of the disease on an everyman level. One other thought — I wonder if it would ever be feasible for all the “Mr. Harrisons” to join together in a class action suit against USPSTF regarding their 2012 D rating which many of us on this site vehemently opposed at the time?? With regard to the post you referred to, it is important to understand that this is very early stage research. We have no idea yet whether what this research team has found in pre-clinical research (i.e., in laboratory and perhaps in animal models) would even be true in humans, let alone whether it could be done safely. Of all the ideas that actually get tested at this stage only about 1 in 5,000 to 10,000 actually end up becoming an approved drug. Most of them fail a critical step along the way. Much as I would like to see 5 to 10 times the money available to accelerate the “translational” steps necessary to turn a scientific possibility into a drug that can be tested in clinical trials, this is always going to be a relatively slow process (albeit much faster than it was 20 years ago), and fraught with difficulties. A strong article but with a dreadfully weak start, and @Rick_Davis, I suggest you read para 2 more critically. If Mr Harrison presented with symptomatic, metastatic prostate cancer 2 years after his last test, then the last test is the problem, and the 13 or so before that, not the one he missed (he sadly did not need the second-anniversary one). I respect Dr Morgan’s view that the “D” recommendation was a mistake (and further discussion is out of scope here), but this is not the way to do it. But the sentence “Quality of life and maintaining a sense of self truly is the most important thing to many men, it this must be respected” needs framing in clinics the world over, typo or no.